Twenty years have passed since the Republic of Bosnia-Hercegovina declared its independence from Yugoslavia at the beginning of March 1992. Bosnian independence came after Slovenia, Croatia, and Macedonia had left Yugoslavia in 1991. Slobodan Milošević, the Yugoslav dictator, proclaimed Serbian "independence" inside Yugoslavia—of which Serbia was the dominant constituent—in 1990. Milošević did not object to the secession of Macedonia. But the Belgrade regime sent the Yugoslav People's Army (YPA) to assault newly-freed Slovenia. Hostilities between the Milošević government and the well-organized Slovenes lasted only 10 days and left fewer than 100 dead on both sides. The tranquil divorce of Macedonia and the short battle by Slovenia for self-determination are nearly forgotten today. Yet Croatia declared its sovereignty simultaneously with and was attacked at the same time as Slovenia, and underwent four years of war, from 1991 to 1995. 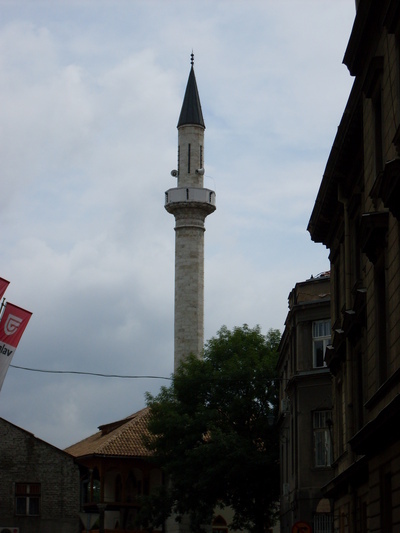 The Magribija Mosque, 16th c. CE, Sarajevo – Photograph 2009 Via Wikimedia Commons. Muslim politicians in Sarajevo, the Bosnian capital, were less than enthusiastic about independence. Bosnian president Alija Izetbegović, the first post-Yugoslav head of state who had never been a Communist, refused to take sides between Serbia and Croatia. As pointed out in the excellent History of Bosnia, by Marko Hoare (2007), Izetbegović allowed the YPA to attack Croatia from Bosnia, and opposed international recognition of Slovenia and Croatia. Meanwhile, Milošević and Franjo Tuđman, the eccentric ex-Communist general who became leader of Croatia, had already met in March 1991 and agreed to partition Bosnia-Hercegovina. 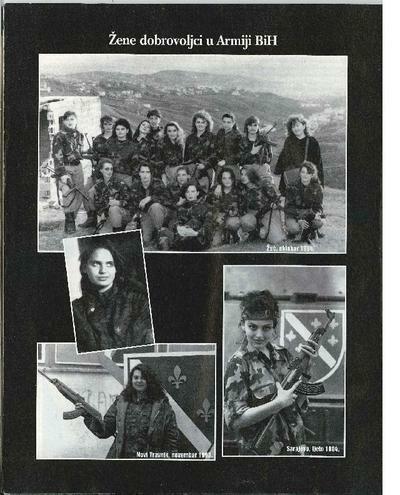 In the first week of April 1992 Serbian "republics" had been set up in the north and west of Bosnia. Serbian irregulars had commenced arrests, executions, internment in concentration camps, rapes, and deportation, with the euphemistic title "ethnic cleansing," of non-Serbs within the "republics." The Bosnian Muslim politicians waited almost three months before proclamation of a state of war and a general mobilization. The Croatian and Bosnian wars are remembered chiefly for the universal shock at the prolific atrocities in both. Of 4.5 million Bosnians, at least 100,000 were killed and two million became refugees. Few were prepared for such horrors in Europe, and the reaction of the European powers was ambiguous. 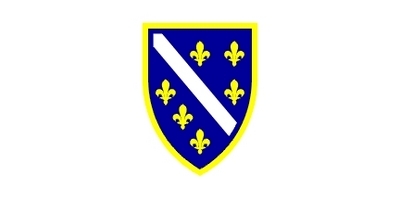 Twelve European states and the United States had recognized independent Bosnia-Hercegovina. 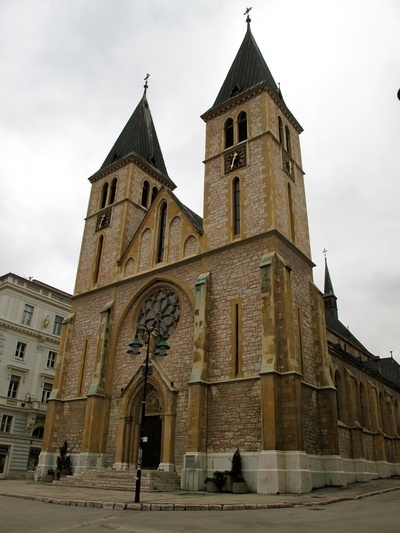 But United Nations "protection" troops sent to Sarajevo included British and French contingents whose political leaders expressed marked sympathy for Serbia. The crimes witnessed in Croatia and Bosnia-Hercegovina induced many to dismiss the wars as expressions of irresolvable barbarism. The United States opposed the breakup of Yugoslavia. Recognizing, however, that the Bosnians had been reluctant participants in the destruction of the former state, Washington provided limited arms and training to the so-called "Muslim forces." In reality, the "Bosnian Muslim" army included Serbian, Croatian, and Jewish top officers and soldiers. Still, as the war continued, and it appeared that world leaders would stand aside and let the Bosnian bloodletting proceed, Islamist trends appeared in the Bosnian military, and non-Muslim officers were downgraded. An unknown number of so-called "mujahideen," in the low thousands and ineffectual in combat, traveled to Bosnia to defend the Muslims. But the "mujahideen," although committing atrocities, won no battles and never influenced the direction of the war. 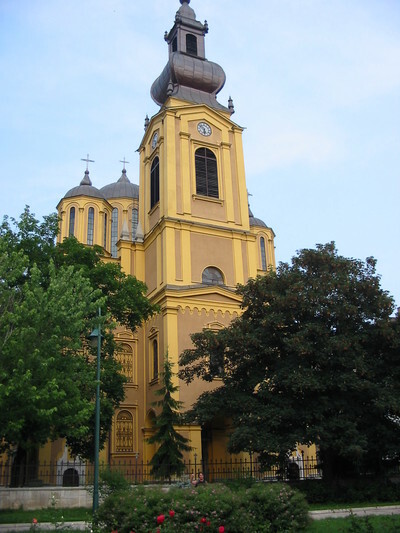 The Nativity of Mary Serbian Orthodox Cathedral, 19th c. CE, Sarajevo -- Photograph 2005 by Donar Reiskoffer, Via Wikimedia Commons. The Bosnian suffering continued, epitomized by the siege of Sarajevo, in which some 12,000 people were killed, 1,100 of them children. The war's brutality culminated in the Srebrenica massacre of July 1995, when 8,000 Bosnian Muslim men and boys were slaughtered and thrown into mass graves by Serbian forces. Srebrenica occurred under the eyes of Dutch peacekeepers, who appeared less motivated by sympathy for Serbia than by unwillingness to risk their own safety by safeguarding Bosnians. Then the United States intervened, and NATO bombed Serb positions. Bill Clinton pushed Britain and France to agree to a forced peace, and summoned Izetbegović, Milošević, and Tuđman to Dayton, where a ceasefire was imposed. The Dayton Accords made the division between a "Serb Republic" and a "Bosniak [Muslim]-Croat Federation" permanent, with each controlling about half the country. The price of peace was appeasement of Serbian ambitions. In the 17 years since Dayton, Bosnia-Hercegovina has sunk into deep economic stagnation and civic despair. According to the Economist, Bosnia has the highest level of brain drain in the world. Under Dayton, Bosnia is burdened with a complicated, multilayered system of local and ethnic bureaucracies, and has yet to undertake an economic reform that would utilize its resources and encourage entrepreneurship. 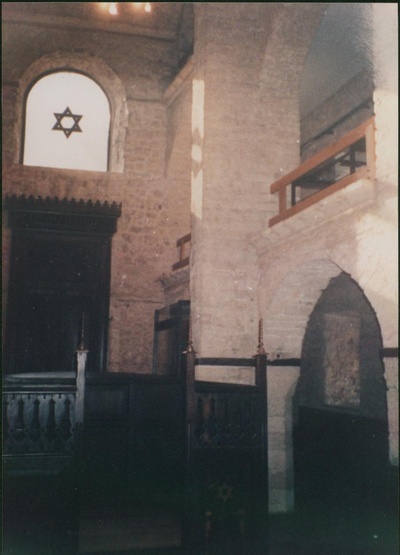 Interior of the first Bosnian Jewish synagogue (Kahal Viejo), founded 1581 CE, Sarajevo -- Photograph 1999 by Stephen Schwartz. Bosnia-Hercegovina has become an exemplar of how the European Union and the U.N., under the pretext of "nation-building," have failed utterly to reconstruct, as a nation, a local identity and culture that survived Ottoman, Austro-Hungarian, and Yugoslav rule for hundreds of years. Bosnian Croats and Bosnian Serbs are different from Croatians and Serbians in their "home" countries, regardless of attempts to make the former appear as no more than "unredeemed" co-ethnics of the latter. Bosnian Muslims are different from other Balkan and formerly-Ottoman Muslims, and Bosnian Sephardic Jews take pride in their distinctive traditions. A Bosnian nation existed; it did not need to be invented. But the European Union and the U.N., with the complicity of the Obama administration, have left Bosnia prostrate, divided, and hemorrhaging talent and wealth. Black-market networks have assumed power over much of the economy on both sides of the demarcation line between the "Serb Republic" and the "Bosniak-Croat Federation." The bosses of these "mafias" have more in common with each other than either have with ordinary Serbs, Bosnians, or Croats. The moderation that characterized the Bosniak Islamic leadership during the war has given way to alignment with Arab-financed radicals. Was the U.S. right to intervene in Bosnia-Hercegovina in 1995? Without doubt. But it shouldn't have left the Bosnians in the hands of the Europeans and the U.N., which had already demonstrated their sympathy for Serbia. The war crimes trials of Serbs, Croats, and Bosnians at the International Criminal Tribunal for Former Yugoslavia (ICTY) in the Hague provided the victims of Bosnia-Hercegovina with some comfort. But the prisoners at the Hague live a secure and placid life in the Dutch penal system, which many Bosnians of all ethnicities would envy. On March 1, Serbia gained candidate status to enter the European Union, while Croatia is amid a process of confirmation that should end with EU membership next year. Slovenia joined the EU in 2004. Any such possibility for Bosnia-Hercegovina has been delayed indefinitely. The war that began in Bosnia-Hercegovina 20 years ago remains relevant today to people other than its residents and a few outsiders who observed the fate of the Bosnians sympathetically. In Syria, as in Sarajevo then, a dictator's military is unleashed against civilians, and the world appears helpless to prevent further bloodshed. As Russia served as Milošević's patron, so it supports Bashar Al-Assad. In the years of killing leading to Dayton, Americans were told that ending the war in Bosnia-Hercegovina would require the sacrifice of American troops to subdue the Serbs. In the end, as in Kosovo and Libya, NATO air strikes, supporting local fighters on the ground, were sufficient to end Milošević's Bosnian offensive. 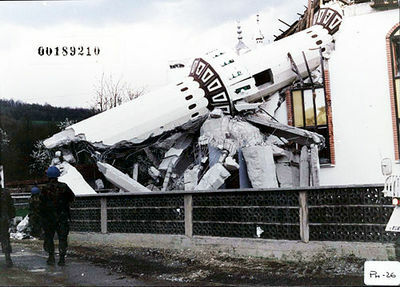 America lost no troops in Bosnia-Hercegovina and Kosovo, and gained, at least temporarily, recognition that it would assist Muslim (and Orthodox Christian, Catholic, Jewish, and non-religious) victims of aggression, by the use of our unmatched military aviation. But NATO did not and could not, once they were saved, substitute for efforts by the Bosnians and Kosovars to attain full nationhood. And the U.N. and EU have failed to conceive of measures that would help turn Bosnia-Hercegovina and Kosovo into well-functioning countries. More Bosnias will doubtless appear around the globe. American military assets may once again be deployed, even "leading from behind," to stop mass killing. But in the future, the rebuilding of stricken lands should not be left to the EU, and much less to the U.N. After the second world war, in Germany and Japan, and following the Korean War, the United States established a defensive shield over our former Axis adversaries, followed by South Korea (and Taiwan), that allowed those countries to flourish on their own, without the meddling of foreign bureaucrats. That is how Bosnia-Hercegovina should have been treated after Dayton; that is the main lesson to be learned from the 20 years that have passed since war began in Sarajevo.